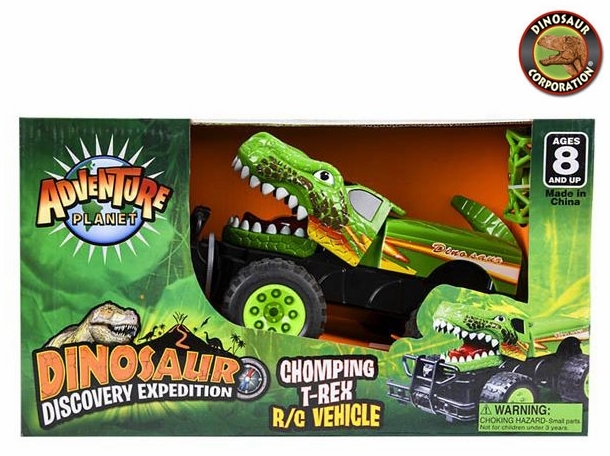 Chomping T-rex Jungle remote Control Car from Dinosaur Discovery Expedition. Kids will enjoy journey into Jurassic World adventure to unravel the ancient mysteries of the dinosaurs! A perfect dinosaur gift for dinosaur enthusiasts!